Virginia Lt. Gov. Justin Fairfax (D) — the official tipped to replace the state’s Gov. Ralph Northam (D), who is facing bipartisan calls to resign after a racist photo in his medical yearbook emerged, is denying recently resurfaced sexual assault allegations from 2004. The alleged incident, which was reported by Big League Politics over the weekend, is said to have occurred during the 2004 Democrat National Convention. As WUSA9 reports, the Washington Post has not corroborated the claims, which the paper has been looking into for months. 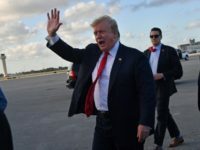 Akin to other news outlets, Breitbart News will not report on the allegation itself as several details from the purported incident remain unverified. Meanwhile, Northam faces a flurry of resignation calls from top Democrats and Republicans after the surfacing of a photo showing the embattled governor with another individual in blackface and a Ku Klux Klan attire in his 1984 Eastern Virginia Medical yearbook. 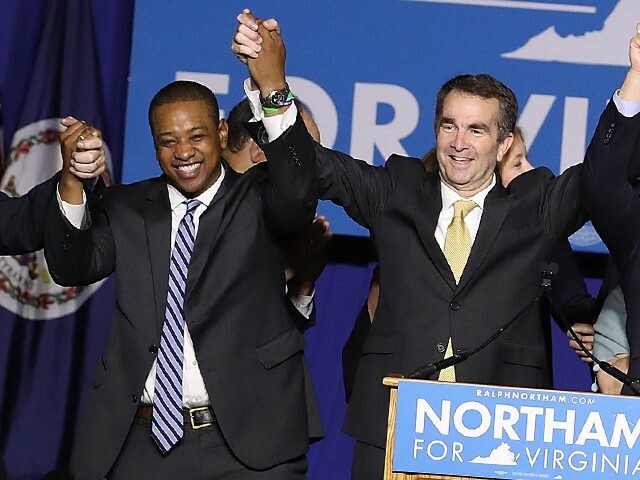 On Friday evening, Northam took responsibility for being featured in the photo, but the following day, claimed he actually did not believe he was in it. “Yesterday, I took responsibility for content that appeared on my page in the Eastern Virginia Medical School yearbook that was clearly racist and offensive,” the embattled Virginia Democrat said in a Saturday press conference. “I am not and will not excuse the content of the photo. It was offensive, racist, and despicable. The stunning reversal does not appear to have changed the minds of lawmakers demanding he step aside. Northam reportedly huddled with staffers Sunday evening to discuss his possible resignation; however, details of the meeting are not known at this time.